Since Gov. Jerry Brown was elected in 2011, more than 20,000 permits for new oil and gas drilling projects have been approved in California. 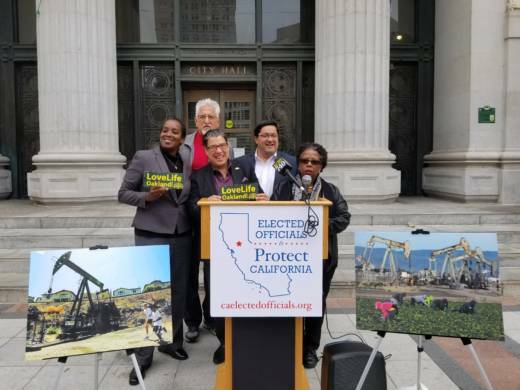 Now, 150 local elected officials from 31 counties across the state are calling on Brown to phase out fossil fuels ahead of September's Global Climate Action Summit in San Francisco. In a letter, officials are asking Brown to take tangible steps to downsize California's fossil fuel economy -- such as halting permits for new extraction projects, prohibiting drilling near homes and committing the state to 100 percent renewable energy. 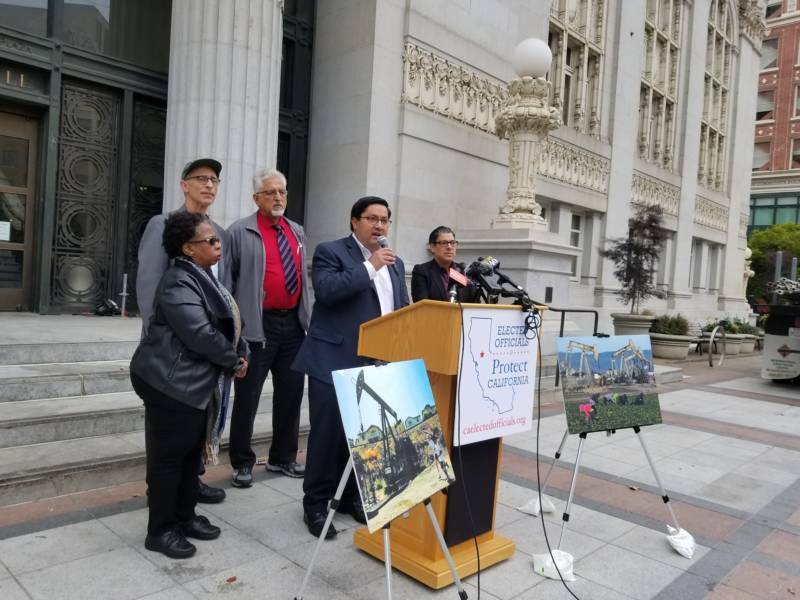 "This is not just a crisis, it's an emergency, and the governor has recognized that," said Berkeley Mayor Jesse Arreguín outside Oakland City Hall Tuesday, calling on Brown to make California fossil fuel free. Arreguín said extraction projects most negatively impact non-white and low-income communities in the state. "This is not just a climate issue, this is an environmental justice issue," Arreguín said. In a statement, Brown said California aims to be a global leader on climate, citing a 56 percent decrease in oil extraction this year. For years, California was the third highest oil producer in the country after Texas and North Dakota. As of March, the state has dropped down to No. 6. Representatives from the oil and gas industry say less gas produced in the state would result in a greater dependence on foreign oil. 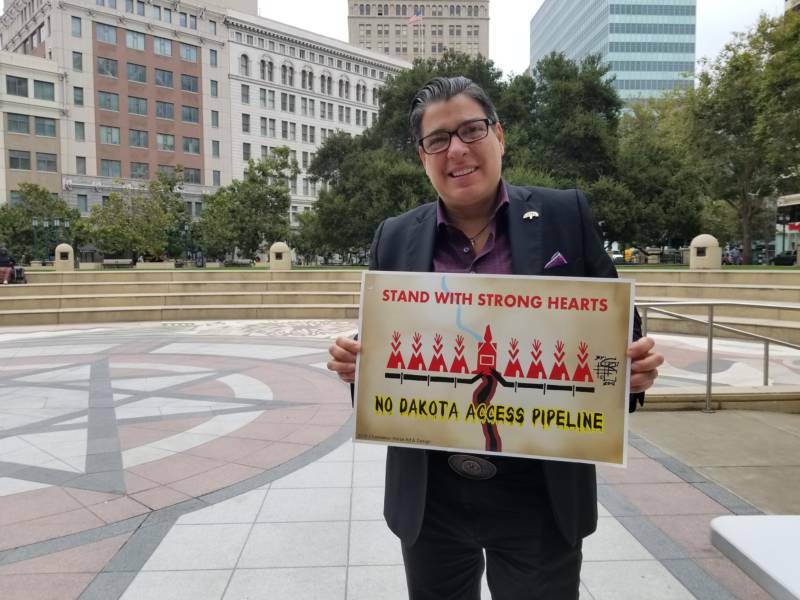 In a statement issued Wednesday, Rock Zierman, CEO of the California Independent Petroleum Association, said that the state has some of the world's strictest regulations on the extraction industry, and while production has gone down, imported oil has drastically increased in the last 20 years. "Meeting California's climate goals and complex energy needs for our globally competitive economy requires an all-of-the-above energy portfolio," he said. If California wants to to decrease both oil production and dependence on foreign sources of energy, demand would need to go down. As a co-signer of the Paris Agreement, Brown's goal is to cut the state's oil consumption by 50 percent by the year 2030. The 2015 Clean Energy and Pollution Reduction Act established ambitious long-term energy efficiency and carbon emissions targets for the state. Despite these efforts, the letter says Brown has not done enough to target fossil fuel production. One of the signers is Oakland Councilwoman At-Large Rebecca Kaplan. She said California can be doing more to downsize its oil and gas industry. "We don't need to be a leader in air pollution. We need to be a leader in solar power, hydrogen fuel cells and electric vehicles," she said. "California knows better, and we can be, and should be, a role model to the nation." "We are standing united not only for words but for action."